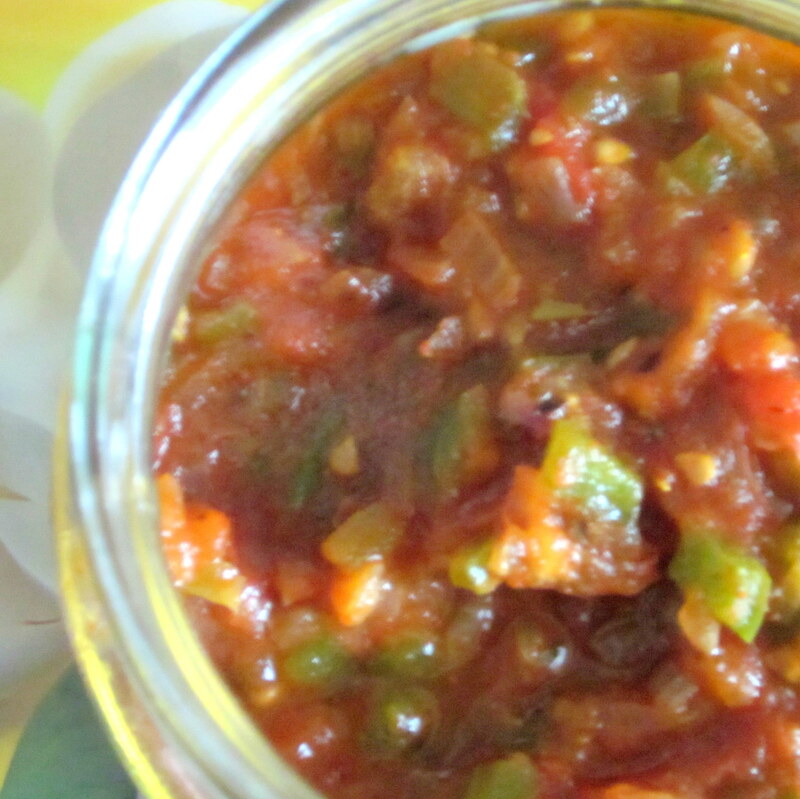 This chunky flavourful mexican chutney literally yells out to you. Don’t believe me? Try it out and see for yourself. 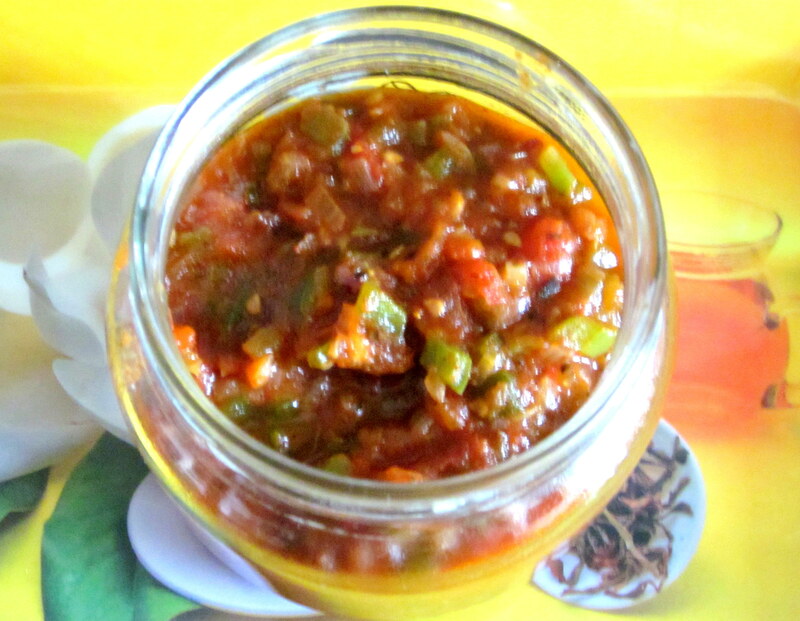 Chips, quesadillas, burritos, nachos.. u name it, this tomato salsa is great with anything. Make 4 incisions on your tomatoes, avoiding to cut it fully. Now put them in boiling hot water for a few minutes. Remove the skin and chop roughly. Now, using a fork, char your capsicum directly on the flame. Scrape the charred skin off, and mince roughly. Then in a pan, heat oil, saute the onions till pinkish. Then add all the ingredients and cook for a couple of more minutes. That’s it you’re done. Remove and store in a jar. Will easily last you for 2-3 days.